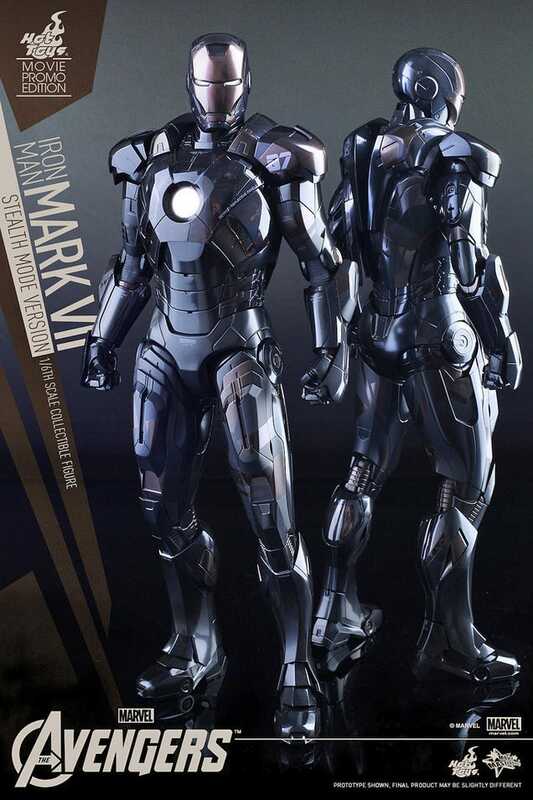 It's not that there's anything wrong with the hot rod-inspired gold and red colour scheme of Tony Stark Iron Man's armour. 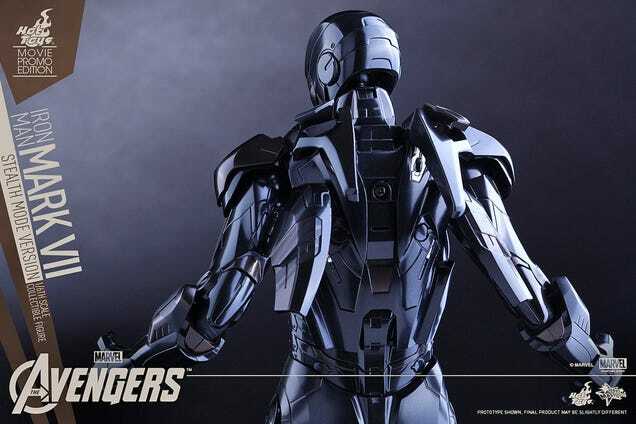 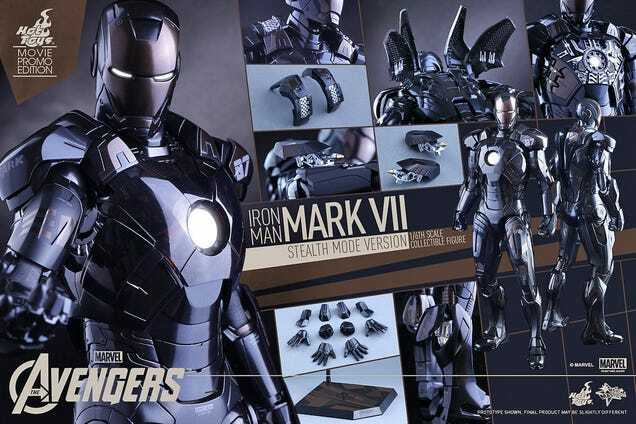 It's just that this Stealth Mode Version, pegged to the upcoming Avengers sequel, looks about a thousand times more sleek and stunning. 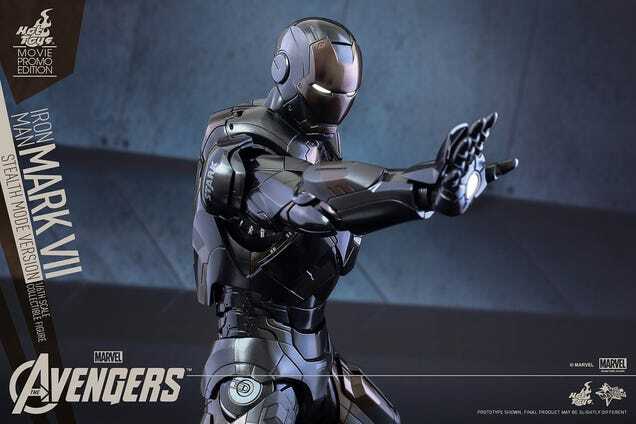 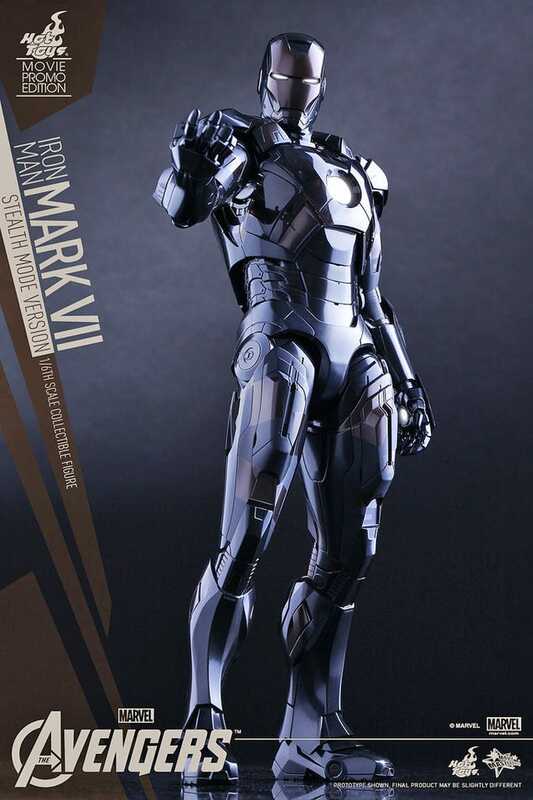 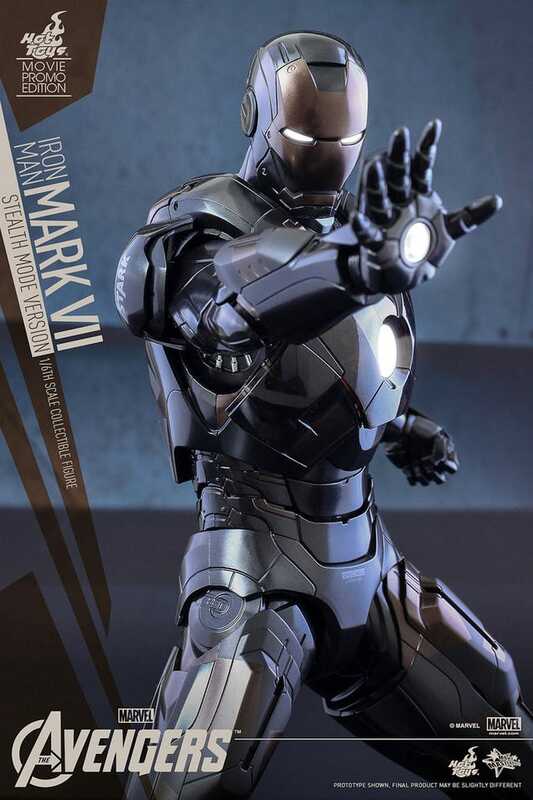 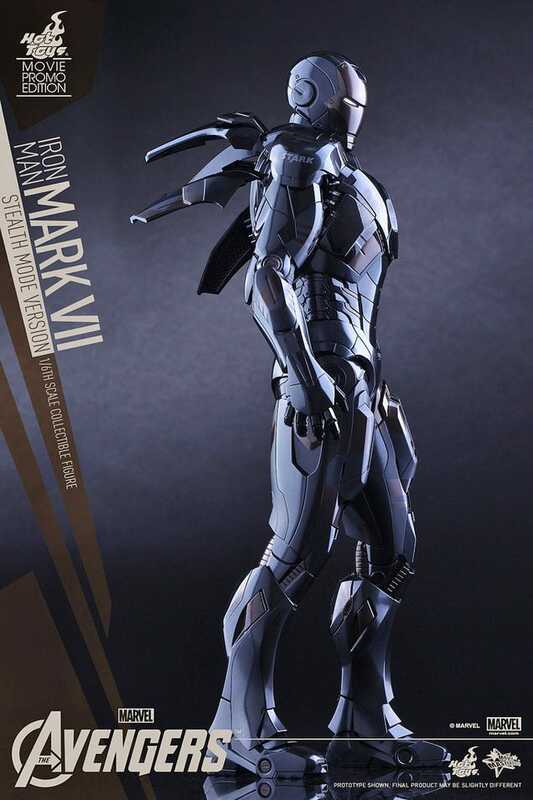 And Hot Toys 1/6th-scale version of the re-painted Mark VII perfectly captures every last detail of the armour.